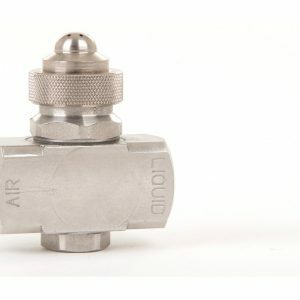 The roll cooling nozzle is a self-aligning nozzle assembly, this ensures the spray performance remains consistent after replacement or maintenance. 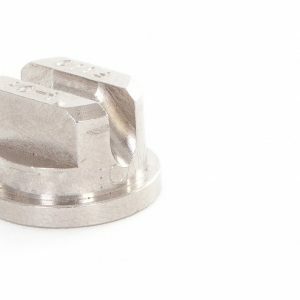 In just a matter of seconds, nozzle tips can be changed. 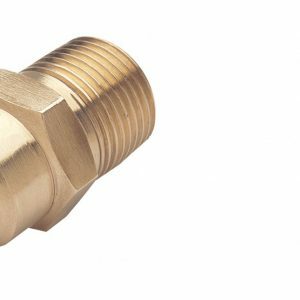 Simply loosen the retaining cap, replace the nozzle tip and replace the cap to secure. The spray pattern is offset by 15 degrees from the dovetail axis to ensure trouble free performance. 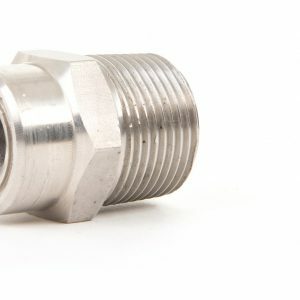 Nozzle bodies are welded to the spray headers and as the complete unit is Stainless Steel, this nozzle type is ideal for high temperature applications.